Hotel Park is one of the oldest hotels in Split. Since its reopening in 2000, it is known as an absolute leader in customer service. It is really interesting for its long tradition, a beautiful location and especially of its restaurant which is often declared as the best one in the city. This restaurant is a perennial champion in making of steak tartare, but other culinary delights are not far behind. Hotel Park started organizing jazz evenings on Friday nights. After the first evening, they didn’t have a big turnout as they’ve hoped for. 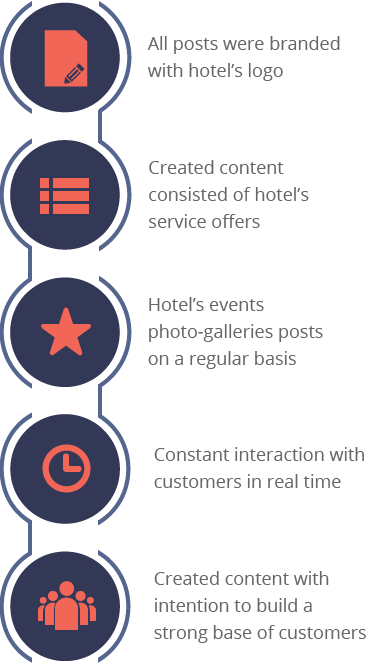 Because of that, hotel’s management realized they need to start using more efficient way of advertising, so they hired us for Facebook advertising and community management. How did we achieve these goals? We’ve created traditional Facebook ads to attract users to Hotel Park’s page, while additionally running a different campaign to promote jazz evenings. Aside from Facebook ads which were designed to gain more followers on the official page, the campaign was mostly based on creating relevant and quality content to keep customers coming back for more. In the moment of our takeover of Hotel Park’s Facebook page, it had 400 Likes. With our campaign, the page managed to attract a total of 1350 people just one month later. During jazz evenings, the restaurant was almost always full, thanks to Facebook advertising. During that time, we’ve had constant inquiries on the Facebook page about hotel’s services and offerings, event reservations and even weddings. 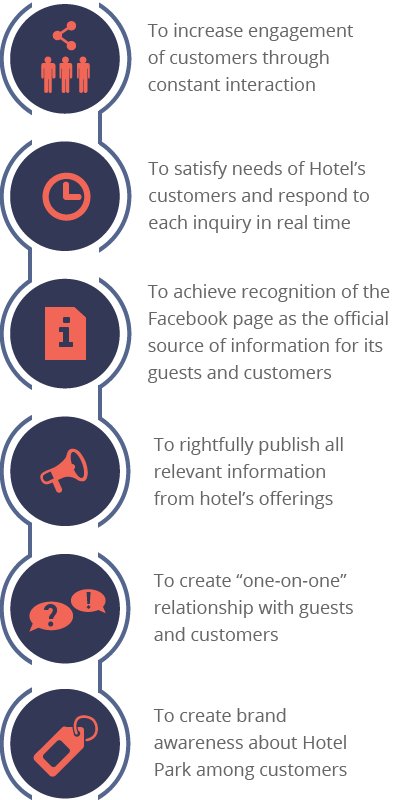 Customers recognized hotel’s official Facebook page as the right place to get all the needed information, which proved to be more successful with each passing day. Clients were happy and content, so obviously, it made us happy and content, as well.